We use our hands all day, every day. In manufacturing jobs, especially, productivity depends on the knowledge and dexterity of human hands. Your hands are always moving anyway, working with stuff anyway. Workers need to handle goods with both hands. Stopping to pick up a scanner constantly is an inefficient use of time. In industry, everyone wore gloves and if these gloves are intelligent, they will assist the worker to make their job easier. 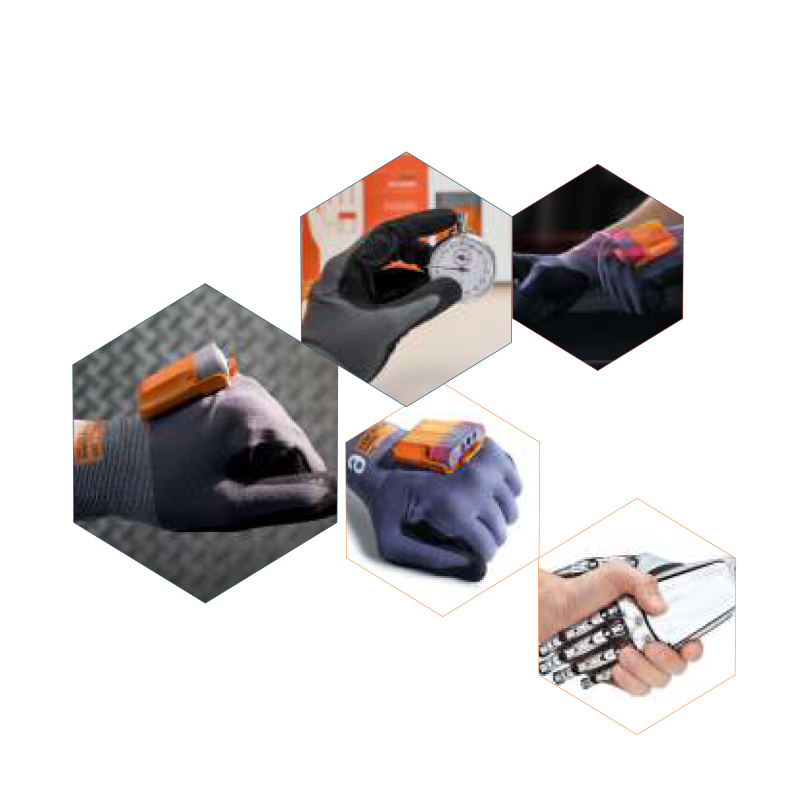 Process steps can be documented hands-free and the smart glove gives instant feedback to its user. The intelligent glove has an ergonomically optimized trigger button on the index finger, which operates the scanner when it is pressed against the thumb. The employee doesn’t have to focus on the barcode, because the scanning function is integrated in the natural hand movement. Current applications include: fast, hands-free scanning of goods, monitoring and training of workflow sequences, identification of tools and parts to avoid incorrect usage, and documentation of goods and processes.